Shenzhen BERSN Opto-electronics Co., Ltd is PHLIPS China OEM strategic cooperation partners, is the pioneer of promotion new light source, take the lead in introducing the solar street light system and street light energy-saving renovation project, at present, it has been widely used in many provinces in China. 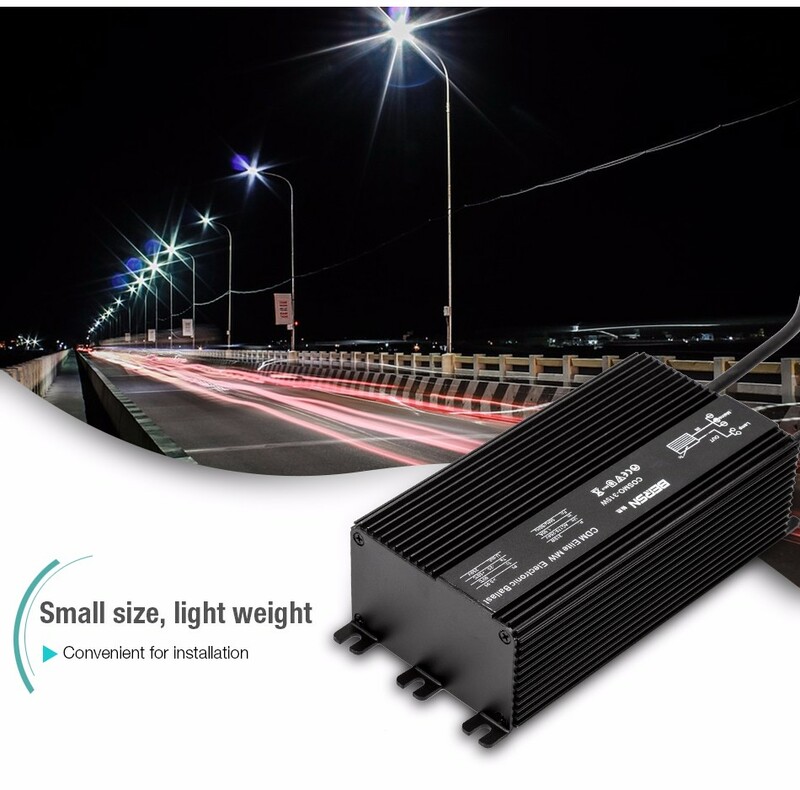 Our company to research and development, the production of ac, dc, can be regular dimming electronic ballast series, realize the intelligent control and remote control function, after transforming the energy conservation and environmental protection, safe and reliable lighting engineering, compared with the traditional high pressure sodium lamp, energy-saving rate can reach 65%!! SON-T PIA Eco is Philips new energy-saving efficient high pressure sodium lamp, on the basis of high photosynthetic efficiency technology, by reducing the power consumption, to achieve simple lighting, can be directly applied to the mass of renovation project. Eco instead of the traditional high pressure sodium lamp light source can be applied to the reform of energy efficient lighting project. Simple and convenient replacement,future development. lamp 150W/250W/400W,suitable for large quantities transformation project. to 13%, and obvious energy saving effect. improve the quality of life. ·32000 hours long life,ensuring safe and reliable road lighting.